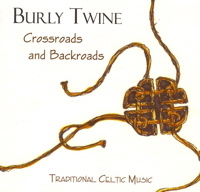 Celtic tunes arranged for acoustic guitar, hammered dulcimer, accordion, mandolin,bass guitar; also featuring Northumbrian bellows pipes, tinwhistle, and flute. With special thanks to our private pastry chef, Dot Neely, Tina Smith and Nancy Conn.
2006 Burly Twine 2006 Burly Twine All rights reserved. Licenses obtained via HFA, Inc. 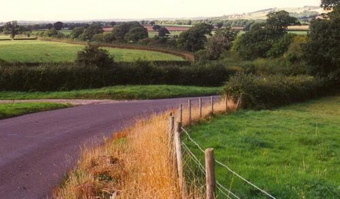 The thrush and the linnet, too. I would warm her on my breast. Step we gaily, on we go! Arm in arm, and on we go! Plenty bonny bairns, as weel! I’m fond o’ the lassies and a drappie forbye. A bonnie wee lass wi’ a glint in her ee! Says I tae the lassie, will ye walk for a while? I’ll buy ye a bonnet and we’ll do it in style. My kilt is McKenzie o’ the H.L.I. If you’re no’ a Gordon, you’re nae use to me. But the cocky wee Gordons are the pride o’them a’. I made up my mind she was fashioned for me. If she would consent to get married to me. The sun was as bright as the light in her ‘een. As she sat under a willow tree. ‘Tis that I’ll rue ‘til the day I die. I was blindfolded, I’ll ne’er deny. Instead of gold, sure ‘tis brass I find. From the West Indies, America, and Spain. In hopes that you and I would meet again. Drinkin’ buttermilk all the week; whiskey on a Sunday. And sad to relate that old Seth Davy died in nine-teen-hundred-and-four.